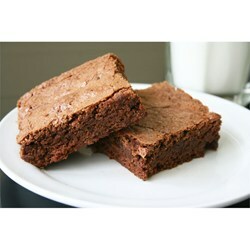 Almost as easy as the boxed brownies, but so much better. And you know what the ingredients are. Bake at 350 degrees F (175 degrees C) for 20 to 25 minutes in a 9 x 13 inch greased pan.